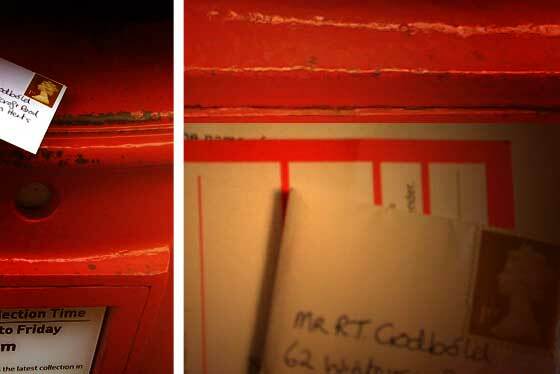 Despite it’s somewhat tiny 60x60mm proportions, we are excited to report that the first French & Godbold Tiny Gift Card has successfully made it’s way through the Royal Mail postage system and arrived safely at it’s destination. The Tiny Gift Card envelope is outside the minimum “absolute limit” specified by Royal Mail. And yet they have done us proud and delivered regardless. Further international postage experiments will be undertaken shortly, stay tuned for further reports…. This entry was posted in French & Godbold and tagged experiment, postage, tiny gift card. Bookmark the permalink.